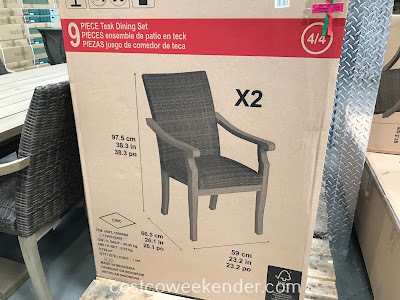 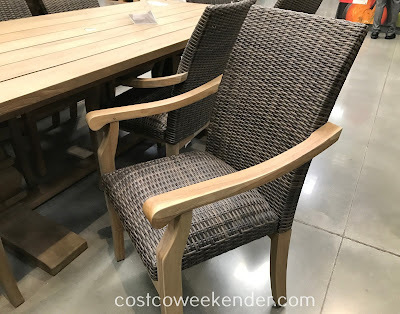 If you're looking for a good patio set, then check out this 9-piece Teak Dining Set from Costco. 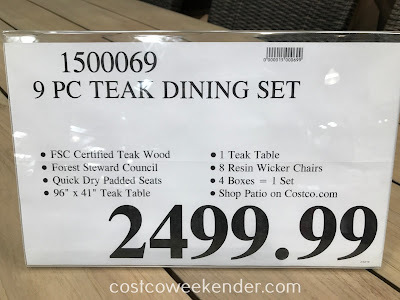 It can easily accommodate enough people for you to host a backyard party or bbq at your place. This isn't some cheap set that you can get from Ikea. 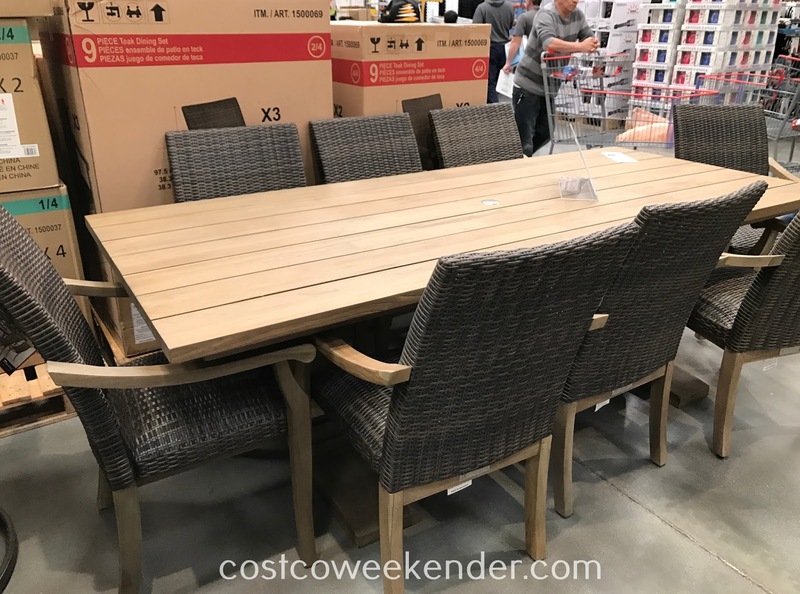 The 9-piece Teak Dining Set is made of wood that can withstand the elements of being outside, so it'll be sure to last you a very long time while other outdoor dining sets rust or rot away. It's stylish looking and will look great in your backyard or patio. 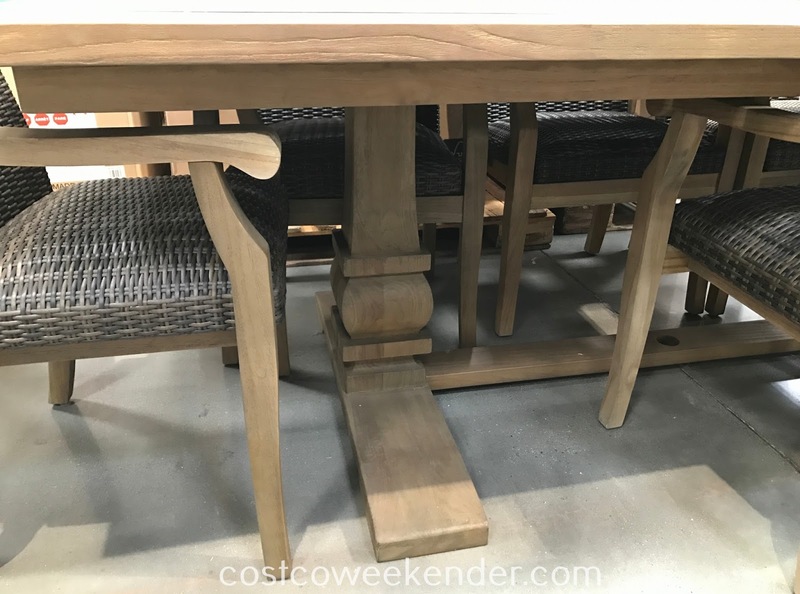 Table dimensions: 96" x 41"